Protected: Blah boring crap, all about self non acceptance. delightful and full of antioxidants – so i am told. 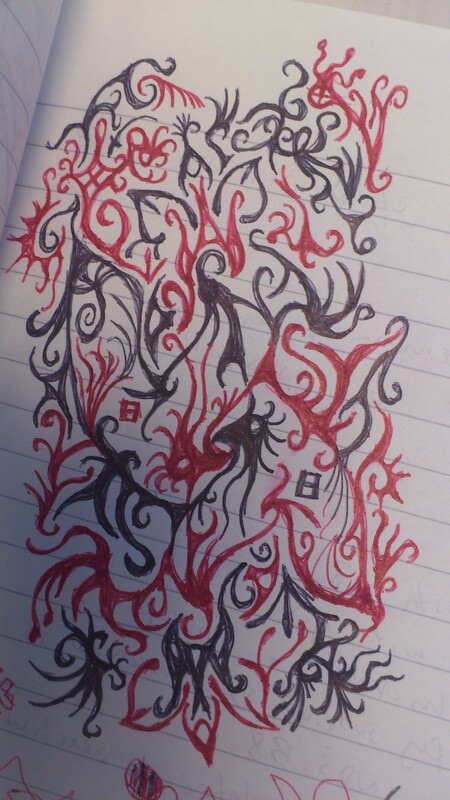 one doodle – as promised – not a new one though – i found it in a notebook from our annual symposium. SO is out playing golf so for the first time in AGES I came home to an empty flat and how am i celebrating this? Im cooking the simplest meal known to man (pasta and cheese) and watching hollyoaks! I need to get a life huh? maybe i’ll start on a new doodle for my next post! ?